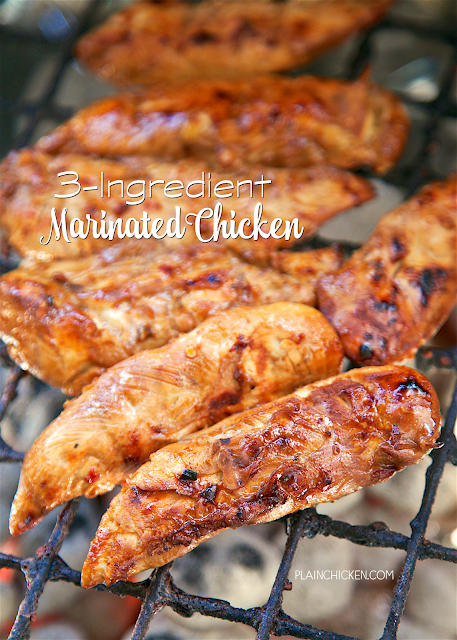 3-Ingredient Marinated Chicken - only 3 ingredients including the chicken! 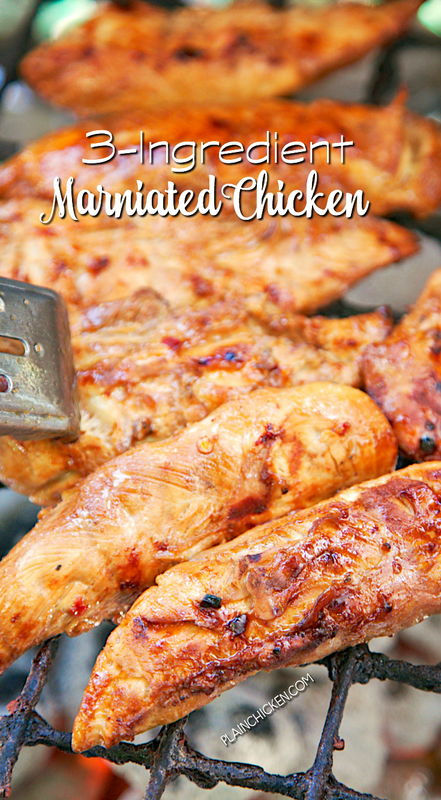 Everyone loves this quick and easy marinade! I always make extra chicken for leftovers - it is great chopped up in chicken salad. YUM! We make this almost every other week - so good! Need a super simple chicken recipe? 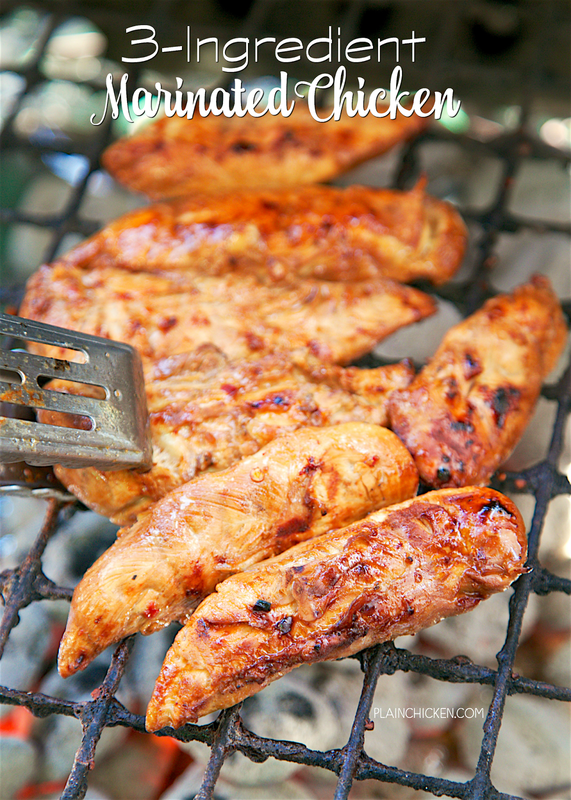 Look no further than this delicious Three Ingredient Marinated Chicken. Yes, three ingredients - including the chicken!! We grilled the chicken, but you could bake it or pan sear it if you don't have a grill. This chicken can be marinated for a few hours or a few days. We let our chicken hang out in the fridge for two days. Something came up and we couldn't grill the chicken on the day we planned. We saved it for the next afternoon and it tasted great! Serve this with some grilled veggies and potatoes for a super simple and delicious summer meal! Whisk together Italian dressing and soy sauce. Pour over chicken and refrigerate at least one hour to overnight. Remove chicken from marinade and grill 12 to 15 minutes until done. I have these ingredients on hand. Planning to do this for dinner tonight! Keep it simple.